The internet as a tool for learning The bad summer of 2012 – what has it cost? 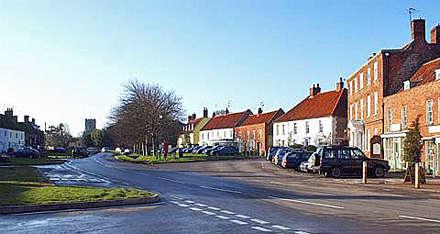 Twenty five years ago the village of Burnham Market was unremarkable – just a pleasant Norfolk village with a green and a traditional range of shops. Then as a result of favourable publicity in the national press the village and the surrounding area began to attract a different kind of visitor. During the boom years of the 80s wealthy Londoners were attracted by the North Norfolk house prices that were considerably lower than in the fashionable south-western counties of England. The comparative quiet of the Burnham Market area, with its nearby sailing centre at Brancaster Staithe, was a real attraction and the local cottages soon started to be snapped up as second homes. These were converted and modernised, and were either used as holiday retreats by the owners or were converted into Burnham Market holiday cottages for letting. The village public house, the Hoste Arms, was turned into an upmarket restaurant with rooms, and the traditional shops began to be replaced by designer outlets. The fashionability of the area was increased even more when some show business celebrities bought second homes there. 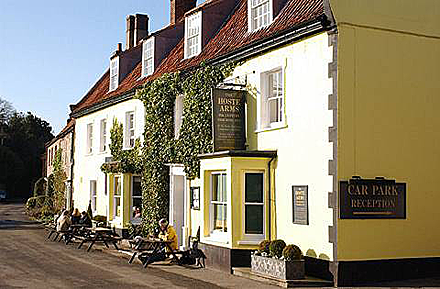 Familiar faces from stage and screen were soon to be seen frequenting the Hoste Arms. 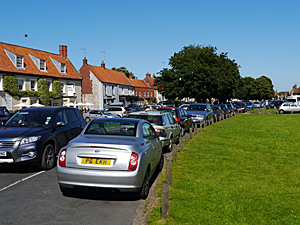 Burnham is a pleasant place to visit for a browse around the shops, unfortunately the traffic management system has not been developed to cope with the number of vehicles that the village now attracts. There is only on-street parking available and at busy times it can be chaotic.